WASHINGTON, DC – January 16, 2012 – (RealEstateRama) — The National Association of Realtors®’ venture capital fund Second Century Ventures has become a strategic investor in Symform, a revolutionary, distributed cloud backup service. Unlike traditional data center storage, the Symform Cloud Storage Network encrypts, shreds and globally distributes data. This technology provides a secure and high-performing cloud backup system. Customers join the Symform network by contributing excess local drive space and, in exchange, receive free cloud backup. According to the 2012 NAR Member Profile, nearly all Realtors® report using e-mail and desktop or laptop computers every day, nearly eight in 10 reported daily use of smartphones with wireless e-mail and Internet capability, and most also heavily use contact management, document preparation, and electronic contact and forms. With approximately 4.7 million existing-home sales completed in 2012 alone, each with their own contact, contracts and supporting documents, the need for effective data backup solutions across multiple platforms is evident. Second Century Ventures is a venture capital fund focused on promoting innovation in the real estate industry and helping to enable the entrepreneurial spirit of real estate thrive. 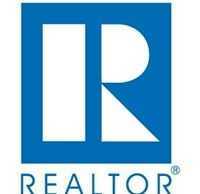 SCV has been fully capitalized by the National Association of Realtors®. NAR can provide immediate strategic value to Second Century Ventures’ portfolio companies by allowing them access to the vast resources of a 300-person organization with expertise, influence and power that comes only by being ingrained in an industry for over 100 years.